Centre back dropped waist to hem: 11¼"
Total back length (top of zipper to hem): 27½"
Royal blue lightweight velvet bodice and sleeves. 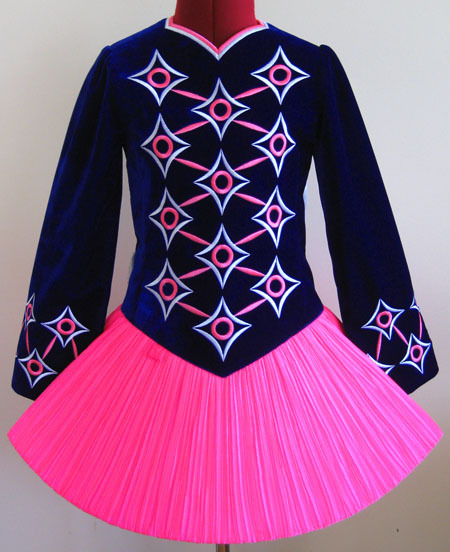 Bright fluro pink and white embroidery on bodice and sleeves. 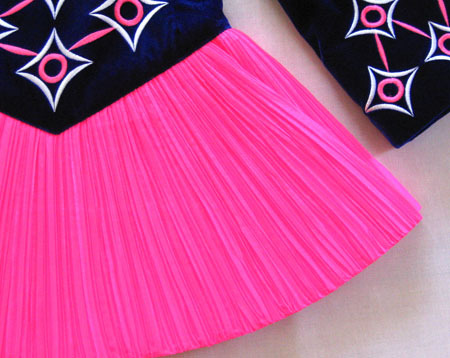 Stunning fluro pink pleated skirt. 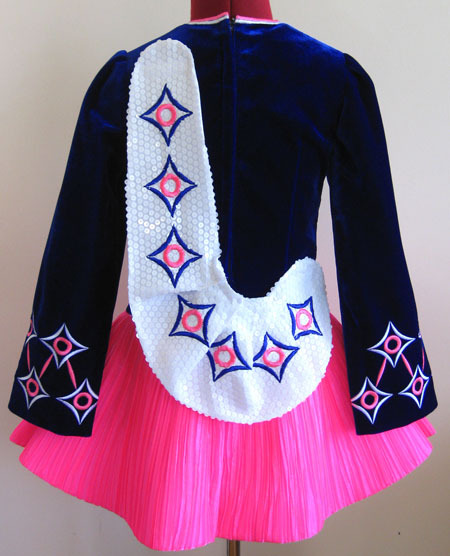 Soft style shawl constructed from sparkly white sequin with matching blue and pink embroidery design. Pink and white striped skirt lining.